Geometry repeats/overlaps mean that certain feature can be used multiple times by different transportation routes. Moreover, the vertices of both layers coincide. Copied features from "Blue" layer into "Red" must inherit 'KEY'-values. From "Blue" layer only those objects that are a logical continuation of the "Red" layer and therefore complement it, match by 'TRAM' or 'BUS' attributes, moreover, other objects should be omitted. 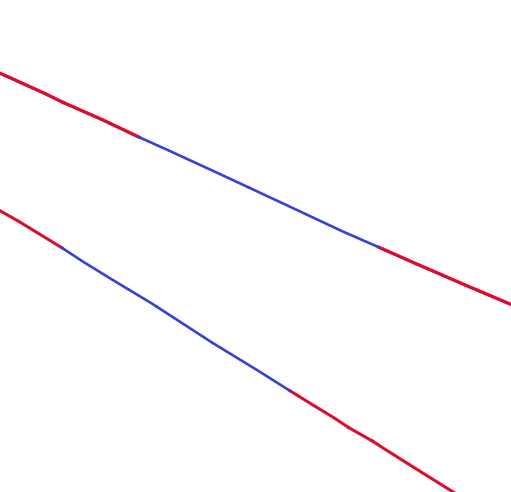 Copying features from "Blue" layer into "Red" one should be accomplished a certain number of times. For instance, lines with the same geometry must be inserted multiple times. On the image below, an example of different inserting number demonstrated. I would like to know how shall I tackle this task to be able to achieve the result I am striving for? Perhaps, the manual approach still will give the highest quality? Since there are up to 20 objects exist. 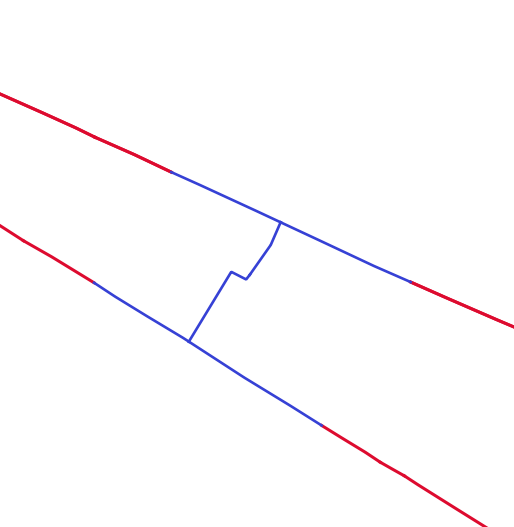 How to get smallest line segments from intersection + difference of multiple overlapping lines? How to copy a geometry from one feature to another without attributes? Creating QGIS copy-paste features between two layers using PyQGIS? Copy geometry from one layer onto attributes of another? 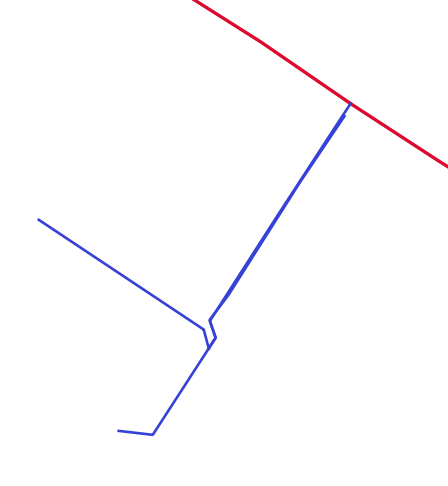 How to connect places (points) without crossing lines? Browse other questions tagged line qgis-2 copy or ask your own question. 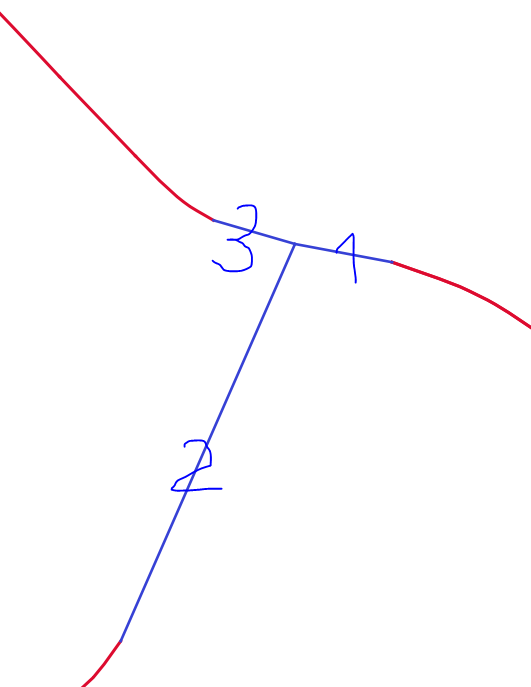 How to copy attributes after splitting polylines? Copying fields between two layers in ArcGIS Desktop? copying features to same layer or different layer (features didn't copy) QGIS MAPINFO TABs? Inherited values between polygons in QGIS?